Figure 1 Medicinal herb extracts or formulations being tested as adjuvant treatments for chemo- or radiotherapies against various cancers. Medicinal herbs and their derivative phytocompounds are being increasingly recognized as useful complementary treatments for cancer. A large volume of clinical studies have reported the beneficial effects of herbal medicines on the survival, immune modulation, and quality of life (QOL) of cancer patients, when these herbal medicines are used in combination with conventional therapeutics. Here, we briefly review some examples of clinical studies that investigated the use of herbal medicines for various cancers and the development of randomized controlled trials (RCTs) in this emerging research area. In addition, we also report recent studies on the biochemical and cellular mechanisms of herbal medicines in specific tumor microenvironments and the potential application of specific phytochemicals in cell-based cancer vaccine systems. This review should provide useful technological support for evidence-based application of herbal medicines in cancer therapy. 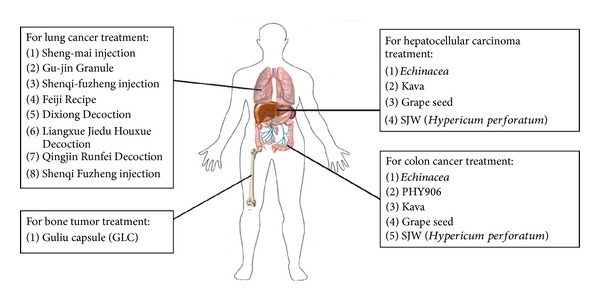 Clinical use of herbal medicines exhibiting anticancer activities. Numerous Chinese herbal medicines are being used in combination with chemotherapy or radiotherapy to improve the efficacy of cancer therapy and reduce side effects and complications (Figure 1), although this practice is highly frowned upon by many western physicians. Understanding of the use of specific herbal medicines as adjuvants to conventional therapy, therefore, needs to be increased in consultation and coordination with physicians and other health care providers. This section outlines evidence for use of herbal medicines as adjuvants to conventional drug-based, chemo- or radiotherapy regimes in cancer treatment. On the other hand, this section also summarizes the challenges or limitations for clinical use of these herbal medicines. For the above adjuvant anticancer therapy studies, herbal medication in general was applied as a combination therapy with the conventional chemotherapy to hopefully increase the therapeutic benefit and quality of life (QoL) as well as to decrease the side effects or complications. Between 28% and 98% of ethnic Chinese cancer patients in Asia [7274] and 25% to 47% of those living in North America are reported to have used herbal medicines as part of their cancer care [75, 76]. Although a number of herbal medicines have been found to be adjunctive in chemo- and radiotherapy, most clinical trials or studies have been reported mainly, if not only, in China or other Asian countries and they are virtually not cited on PubMed. In 2010, Qi and colleagues  provided a systematic review of Chinese herbal medicines in clinical trials, mainly as adjuvant treatments to reduce complications and side effects of chemo- or radiotherapy. Several traditionally used Chinese herbal medicines, including astragalus [78, 79], Turmeric (curcumin) [8082], Ginseng [8385], TJ-41 (Bu-Zhong-Yi-Qi-Tang) [86, 87], PHY906 [74, 8890], Huachansu [91, 92], and Kanglaite [93, 94], are commonly used by cancer patients to either treat cancer and/or reduce the toxicity induced by chemotherapy or radiotherapy. Preclinical and clinical studies have indicated that these herbal medicines may possess a number of advantages in terms of suppression of tumor progression, by increasing the sensitivity of chemo- and radiotherapeutics, improving immune system function, and easing the tissue/physiology damage caused by chemo- and radiotherapeutics. However, most studies to date are empirical (i.e., not well controlled) clinical studies or observations that mainly report reduction in side effects and complications during or after chemotherapy and radiotherapy. Some traditional herbal formulations, including Bojungikki-tang , Kang-Fu-Zhi-Tong , PHY906 , Xiao-Chai-Hu-Tang, Huang-Lian-Jie-Du-Tang, and Yin-Chen-Wu-Ling-San , have been observed, detected, or claimed to protect liver function, reduce cancer-related fatigue and pain, improve respiratory tract infections and gastrointestinal side effects, and even ameliorate the symptoms of cachexia. Often, these clinical results do not meet the standard US FDA requirements for clinical trials, but they may still offer some insight into traditionally used herbal medicines as adjuvant treatments for cancers. They may also provide useful pointers for the development of future botanical drugs as cancer primary or adjuvant therapies [74, 77, 97]. For centuries if not millennia, various plants (many systematized in traditional Chinese medicine) have been used as medicines and disease therapeutics in most human cultures. As exemplified in this review, over the last two decades renewed public interest and research efforts from scientific and medical communities worldwide have generated a large volume of information including clinical studies and trials on the pharmacological effects, usage, and the development into future medicines of herbs and derivative medicinal phytochemicals as anti-tumor and chemoprevention agents. 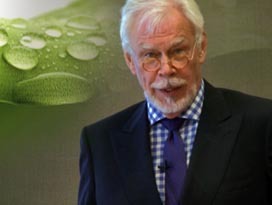 Although considerable effort has been put into the verification and upgrade of many traditional remedies or multiple-herb formulations, systematic, standardized research and the use of FDA regulatory protocols and defined clinical trials are still quite limited and need to be actively pursued. At the same time, it is necessary for scientists, clinicians, and regulatory agencies to actively consider how to create novel, improved, or modified clinical surveys, studies, and trial mechanisms that employ the stringent trial standards of the 21st century but also incorporate, at the international level, the wealth of old empirical but incomplete data from various records and documents accumulated by traditional medicine practices worldwide, to expedite the discovery and development of new phytomedicines and botanical drugs. While continuous and systematic effort is needed, a number of notable breakthroughs have occurred in the field of medicinal plant research and botanical drugs in the last few years. In April 2008, the FDA approved the very first botanical drug, Veregen, a partially purified fraction of the water extract of green tea leaves from Camellia sinensis, for topical treatment of external genital and perianal warts . Very recently (January 2013), the FDA approved, for the first time, an oral botanical drug, Crofelemer (a purified oligomeric proanthocyanidin from the latex of the South American Croton lechleri tree), for treatment of diarrhea in HIV/AIDS patients. Although these two pioneer FDA-approved botanical drugs are not therapies for cancer, they certainly pave way for such future developments. One possible example is the ongoing (2013) FDA clinical trial on PHY906. This four-herbal-plant-composed TCM formulation has been shown to confer with good evidence . It is our hope that the phase III clinical trial of this formula will lead the way in the development of CAM for cancer patients. With the various other new clinical trials ongoing, CAM may start playing critical roles in future health care of aging populations. 4. Gerber B, Scholz C, Reimer T, Briese V, Janni W. Complementary and alternative therapeutic approaches in patients with early breast cancer: a systematic review. Breast Cancer Research and Treatment. 2006;95(3):199209. 5. Lesperance ML, Olivotto IA, Forde N, et al. Mega-dose vitamins and minerals in the treatment of non-metastatic breast cancer: an historical cohort study. Breast Cancer Research and Treatment. 2002;76(2):137143. 6. Saintot M, Mathieu-Daude H, Astre C, Grenier J, Simony-Lafontaine J, Gerber M. Oxidant-antioxidant status in relation to survival among breast cancer patients. International Journal of Cancer. 2002;97(5):574579. 13. Society AC. Breast cancer facts and figures. 2009. 14. Society AC. What are the key statistics about lung. 2013. 30. Chan JM, Stampfer MJ, Ma J, Rimm EB, Willett WC, Giovannucci EL. Supplemental vitamin E intake and prostate cancer risk in a large cohort of men in the United States. Cancer Epidemiology Biomarkers and Prevention. 1999;8(10):893899. 51. Liang HLM, Xue CCL, Zhou DH, Li CG. 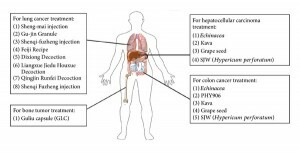 Chinese herbal medicine for lung cancer: a critical literature review. Chinese Journal of Integrated Medicine. 2011;9:157160. 58. Wang TL, Wang BE, Zhang HH, Liu X, Duan ZP, Zhang J. Pathological study of the therapeutic effect on HBV-related liver fibrosis with herbal compound 861. Chinese Journal of Gastroenterology and Hepatology. 1998;7:148153. 59. Wang HJ, Wang BEW. Long-term follow-up result of compound Dan Shen granule (861 Chong Fu Ji) in treating hepatofibrosis. Chinese Journal cialis and tadalafil of Integrated Traditional and Western Medicine. 1995;5:45.